IWD 2013 – Wonderful Wellness Women! A celebration of respect, appreciation and love towards women. A celebration for women’s economic, political and social achievements. 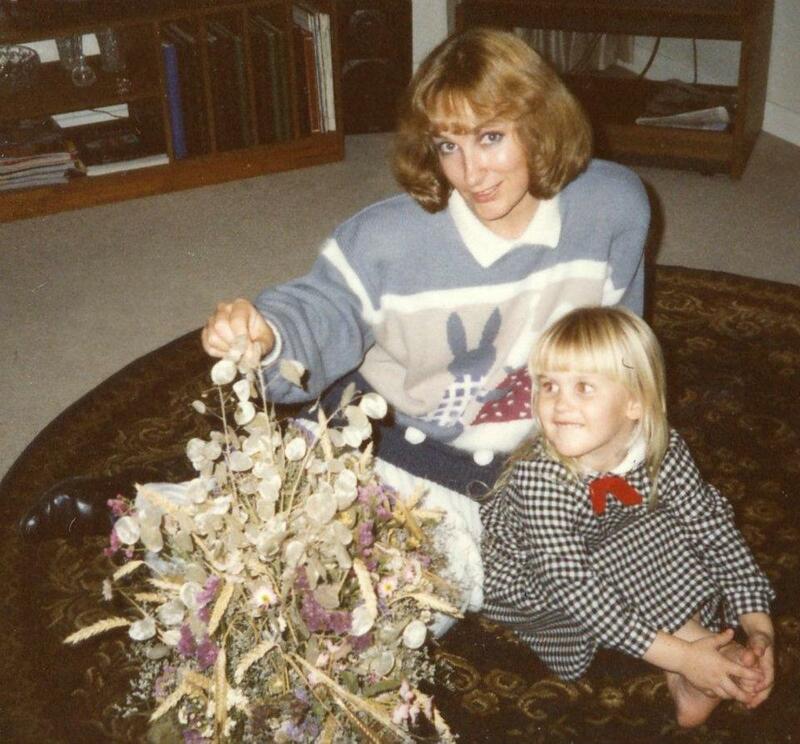 Having become a mum recently myself the love and respect I have for my mum transcended to a whole new level. Mind you, I was also hit with a massive pang of guilt (see years 16 through 21). 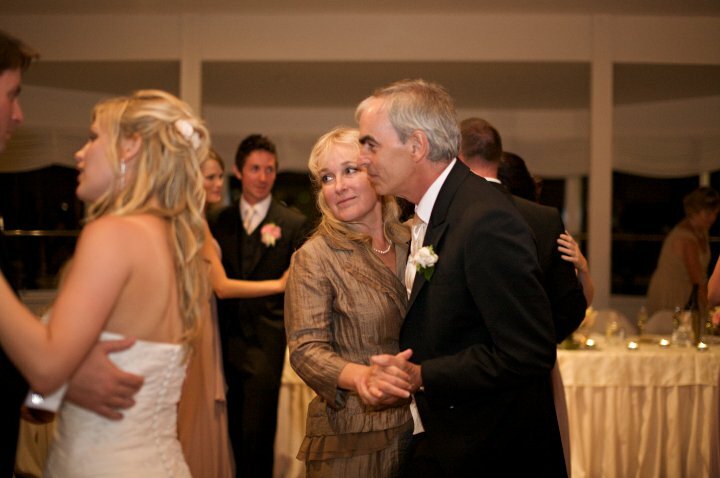 Back to my mum though, she has been a career mum (and a damn good one at that) and has devoted her life to me and my brother. Recently, she stepped right out of her comfort zone and embarked on a career of her own (a reasonably scary one involving needles!) and despite some jitters about getting back into the workforce is doing amazingly! She has also assured me for as long as I can remember that the only time I will ever see her running is if a mass murderer is on her tail. Which is why it is particularly impressive that she has recently purchased a treadmill and is training herself on it every morning. She has decided to take her health seriously and is making some major changes accordingly. My mum has always been impressive but seeing her face some pretty major fears has been ultra motivational as well as incredibly satisfying. I am so proud of you Mother Goose! Dads pretty awesome too but it isn’t International Man’s Day! Stuck record much? I can’t sing this girls praises enough. Jessica is a gorgeous young lady who survived a pretty grim cancer prognosis through a natural therapy that focuses on the unlimited potential of our bodies, and their abilities to heal themselves. 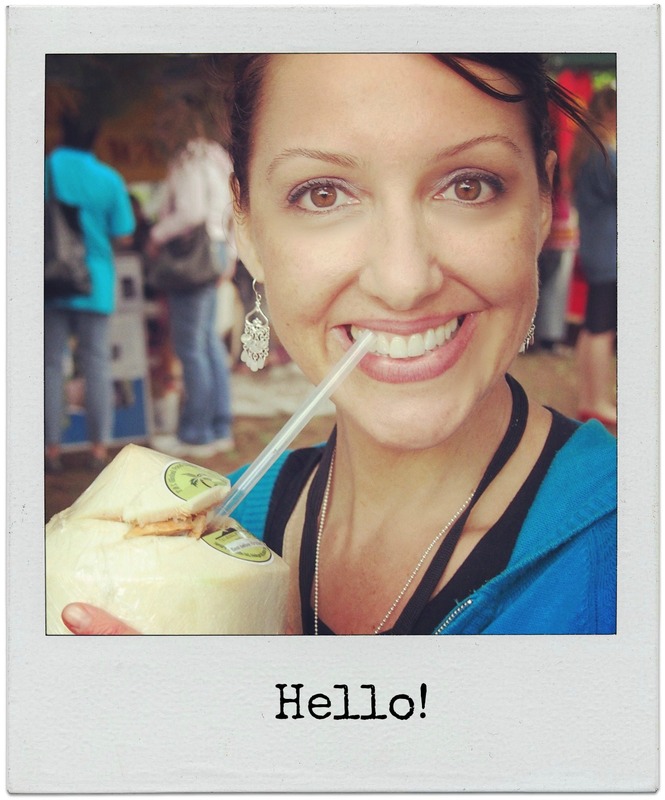 Since this she has gone on to create The Wellness Warrior website (check it out here) which has achieved a cult like following from people around the world (including moi!). She has also created the Lifestyle Transformation Guide (see that here) which I was lucky enough to win a scholarship to! This scholarship is slowly but surely leading me towards the life I have always wanted – where I am well, calm and following my dreams with a bit of self love thrown in there too! I will talk more about my journey on Monday… but imagine knowing that you are giving countless numbers of people the key to living life the way they were always meant to. That deserves a round of applause I reckon. P.s. If you are living in Sydney, Jessica is going on tour with Earth Events and will be speaking with 3 other amazing girls (Amanda Rootsey, Tara Bliss and Mellissa Ambrosini) on Self Love and Sisterhood. I am so jealous it’s not coming to the west coast but if you are in the position to go, get your ticket here! I dare you to read Bex blog without smiling… c’mon… just look at that face! Not only does she create absolutely delicious food but each post is full of health, happiness and (most importantly) sparkles. While some vegan sites can lean towards dogma, Miss Sparkles is a breath of fresh air who just inspires with her contagiously happy personality and her insanely delicious recipes. And the best is yet to come as she is currently studying at the Institute of Intergrative Nutrition. She also happens to now be a friend of mine and we are hoping to collaborate on some exciting projects this year. You don’t have to be vegan (I’m not) to love Bex food! Some staples that now reside in my culinary repertoire include this AMAZING healthy, Mint Choc Chip Smoothie (see it here), the Good For Everything Tea (here) and this Quinoa and Mushroom Gravy Shepherds Pie (here). WOW. Must stop dribbling on the keyboard! As a renowned (actually… maybe infamous) champagne guzzler, Tara is providing me so much inspiration to change my nasty habit. I have virtually conquered all the demons (sugar, grains, caffeine, dairy) but I still find myself very much craving my Friday night wine. Tara herself is a reformed party girl and she is trying to spread the word that has brought her so much peace. She motivates me with awesome blog posts that really drive home the fact that you don’t need alcohol to feel calm or have fun. 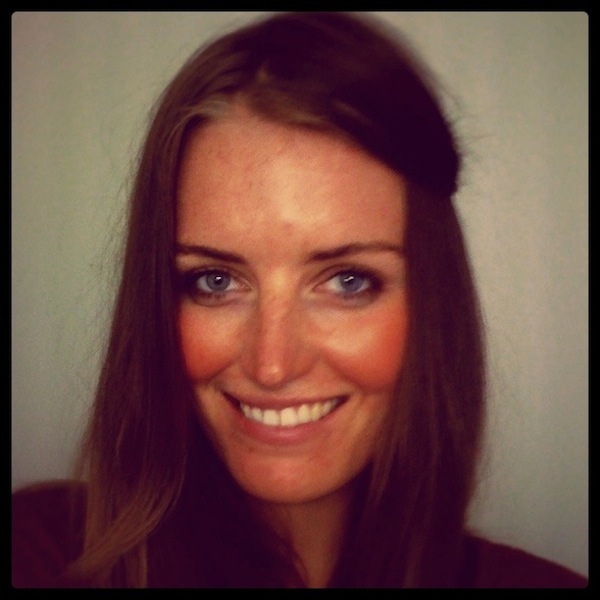 And if you want to go further she has also created the aptly titled online program The Party Girl’s Guide To Peace. She is also an awesome foodie who is very focused on raw and green too. 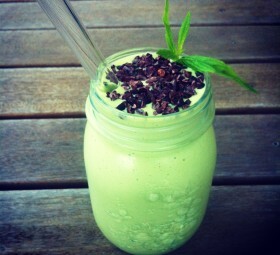 Check out her awesome recipe that featured on The Wellness Warrior here (bit of cross-pollination never hurt anybody). If you want some sassy, spiritual vibes i really recommend giving this blog a read! (see Such Different Skies here). Another Perth local! Jodi is a Naturopath with a list of qualifications as long as your arm included Natural Science, Hypnobirthing and even Colonic Hydro Therapy. She is also a raw chef and raw chocolate entrepreneur and is one of the four co-founders of Revital Health – a team of holistic health coaches. (You can read about all of them here). Jodi (and the wider Revital team) have a Facebook page (here) which provides me constant inspiration for raw food and general health inspiration and is well worth a look if you are dipping your feet into the world of raw as I am! She also helps run affordable workshops like this upcoming event which i hope to attend (and give you all feedback afterwards). The world needs more people that are helping to inspire and guide them to be the healthiest versions of themselves. Do you have any wonderful wellness women inspiring you? ‘X’ is of course whatever walking billboard is in the paper that day; be it Kim Kardashian, Lara Bingle or Justin Beiber. And yes, the thought of my soon-to-arrive daughter being brainwashed into thinking vapidity is an asset is terrifying but hey, if you look under a rock you are going to find dirt. Past the Gatling assault of media trash there are SO many people that can inspire, steer and mould the current and future generations. So I have decided that every Monday I will celebrate these people on my blog and use them as a motivational tool; make my week count, make a difference in whatever I do. The worlds light dimmed a bit on 25 September 2011 when Professor Wangari Maathai died of ovarian cancer. Thankfully this woman achieved so much in her 71 years that there will be an never-ending back catalogue to draw inspiration from. She has also left an incredible green legacy that will continue to grow and influence our direction as a planet without her present (well, physically present at least). In 1966 Wangari was the first woman in East and Central Africa to earn a doctorate degree (studying Science), become Chair of the Department of Veterinary Anatomy (1976) as well as Associate Professor (1977). 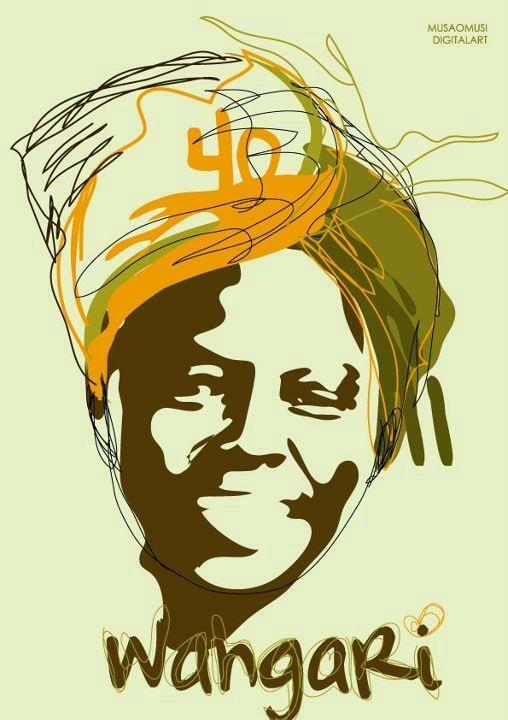 Wangari sat on the board of many organisations, was Chairman of National Council of Women of Kenya, regularly addressed the UN, represented Kenyan Parliament and was an Honorary Councillor of the World Future Council. On top of all that, in 2004 she was also the first woman to win the Nobel Peace Prize for “her contribution to sustainable development, democracy and peace”. While Chairman of the National Council of Women of Kenya, Wangari indulged in an urge that many ignore –she fanned the tiny flicker of an idea. Her love of trees led to the introduction of a grassroots tree planting organisation; in 1977 the Green Belt Movement (GBM) was born. Since its formation, the GBM has been a enormously significant step for the empowerment of women in Kenya. Over 30,000 women have been trained in sustainable trades like forestry, food processing and bee-keeping and other trades that help earn income while preserving lands and resources. Perhaps Maathai should add “First Eco-Feminist” to her long list of achievements? The GBM is a community based organisation that uses three main strategies to address conservation and tackle poverty; Tree Planting, Community Empowerment and Education and Advocacy. The GBM takes the Watershed Approach to tree planting. Rather than just haphazardly planting trees Wangari identified that there are five ‘water towers’ in Kenya that must be protected in order for the country to survive. These towers are protected when trees are planted in a belt formation which provide shade and windbreaks, facilitate soil conservation, improve the aesthetic beauty of the landscape and provide habitats for birds and small animals. Since 1977 when the GBM was formed over 40 million trees have been planted. An example of one of her ‘belts’ is the protection of the Aberdare Mountain Range (one of the five water towers). The Tana River flows from the mountain range and powers a hydroelectric plant which generates more than half the country’s electricity as feeds the reservoirs of the cities capital, Nairobi. The water retention of this range has hugely suffered due to farming and harvesting. Therefore this is a site of major importance to the GBM and there are hundreds of nurseries that produce over 1.5 million native seedlings every season to combat this issue. Amazing huh? If you want to read more about the fascinating Watershed approach then see this article. Knowledge is power. The GBM educates communities about the links between human activity and the health of the environment. The GBM then encourages these communities to come together, take action and stand up for their rights as well as providing practical learning about sustainable livelihoods. The GBM advocates for environmental policy that ensures the protection of natural forests and community rights, especially communities living close to and in forest ecosystems in sub-Saharan Africa and the Congo Basin Rainforest Ecosystem. I love this call to action from Wangari prior to the G8/G20 Youth Summit in Toronto back in 2010. As soon as I saw this video I immediately change the motif of my daughters’ room to incorporate hummingbirds. I cannot think of more beautiful and powerful message to send to children than this little parable. Actually, scrap that. This is important for everyone to hear! I hope that you are as inspired by this wonderful woman as I am. Every time I think of her I am reminded of what a massive difference one person and one little idea can make. She has also inspired me to not only indulge my thirst for knowledge but also speak up about those big, ‘untouchable’ issues and actually take action. I am right now looking into courses that will teach me how to effectively lobby for change. I am going to be a hummingbird. There Are Even Children’s Books! You can also buy it online here. A close friend of mine is going through a really tough time at the moment due to an out-of-the-blue, awful family breakdown. Seeing her so despondent has been hard, especially when I really think about the situation and realise that is does indeed seem pretty hopeless. Following a week of high octane-emotion it all culminated last night when I started blubbing because some poor, confused shelf stacker told me the store would no longer be stocking Borax. Sadly my pregnant belly is not showing properly enough to be able to blame my crazy emotional state and I had to scuttle out of the store mumbling something about ‘family feuding’ and ‘DIY cleaning products’. Not the most positive state of mind. 2011 has not been the best for our Kiwi counterparts. Christchurch was hit by a devastating earthquake in February that resulted in 185 deaths which was followed by a large and damaging aftershock in June. The Cashel Mall was destroyed in the earthquake which eliminated a cultural hub for citizens trying to rebuild their lives. As a temporary solution to try and stimulate tourism to the city – Re:START was born. 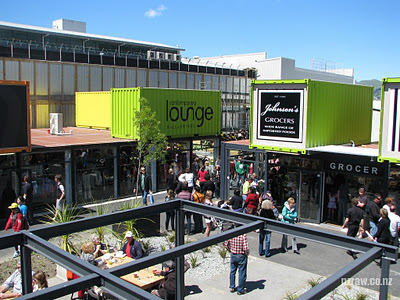 Old shipping containers were employed to create a provisional shopping mall and inject a bit of life back into the city. While I am not into the needless consumerism that shopping malls inherently support I do agree with creating a colourful, vibrant zone for people to meet – especially when it’s made from recycled materials! I think it looks absolutely stunning. Wouldn’t it be great if more developments were made with these low-impact, reused materials? I hope it has lifted the spirits of everyone in Christchurch who are going through such a difficult time. Learn more about Re:START here. On the 14 June 2012 a historic announcement was made – Australian Environment Minister Tony Burke proclaimed the world’s largest network of marine sanctuaries. HALLELUJAH! After constant stories of destruction and corporate greed triumphing over the worlds prized habitats (and the amazing creatures that live within them) finally the environment has won out. That is worth celebrating I think. Read all about it here at the Save Our Marine Life webpage. It breaks my heart when I see holiday snaps on Facebook of people riding the elephants in Thailand, especially when you notice the blood running down their scalps from the ‘Elephant Hooks’. These Hooks are used by the Mahouts (owners of the elephants) to ‘guide’ and discipline the elephants which are forced to ferry tourists around for pittance. It is barbaric and hard not to direct the anger at those that are inflicted the pain to the poor elephants. The Mahouts are not doing it for their own enjoyment: elephant owners struggle to make a living and therefore move their elephants to the city to support their families. This is where the Surin Project shines. They not only provide a sanctuary for these amazing creatures but also subsidise the Mahouts who can live within the sanctuary while they are educated about kinder ways to provide sustainable economic revenue. If interacting with the native animals is part of your holiday ‘must’ list then please make sure you investigate what sort of industry you are supporting before adding to the vicious cycle. You can get up close and personal with these personable pachyderms by visiting the Surin Sanctuary or go one better and volunteer there. I will steal words from Ellie’s testimonial – “You will never forget the sensation of an elephants’ trunk in your hand”. To find out more about volunteering at Surin see this link. If you would like to learn more about the Surin Project see this link. 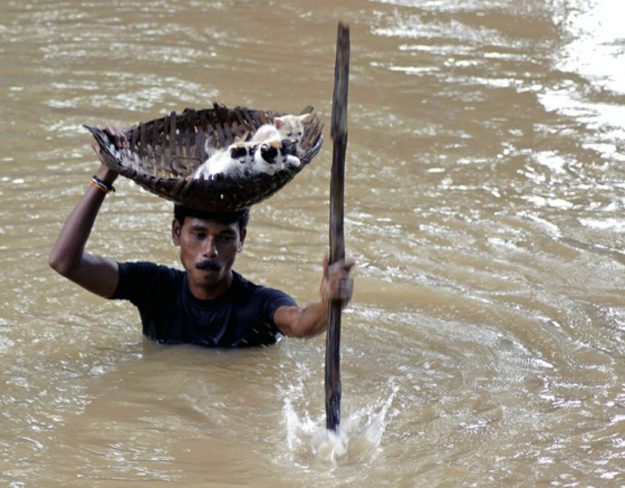 Last week Buzzfeed went viral with their slideshow of 21 Pictures That Will Restore Your Faith In Humanity. They kinda did. In terms of seeing the good instead of the bad I can never go past Alice Herz Sommer: an 108 year old Holocaust survivor who also happens to be the worlds most positive person.